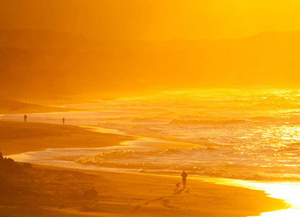 Beautiful beaches, rugged terrain and turquoise Pacific waters that embrace the City of Dunedin. 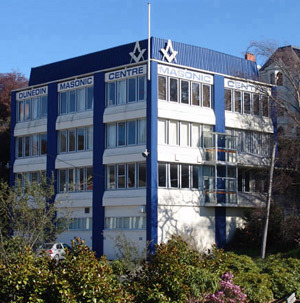 Any Freemason visiting the City of Dunedin is assured a very warm welcome at Lodge St. Patrick. We meet on the fourth Wednesday of the month (see below for details) and we will be pleased to have your company. Alternatively we may be able to arrange for you to meet with Brethren of the New Zealand, English and Scottish constitutions in the region. 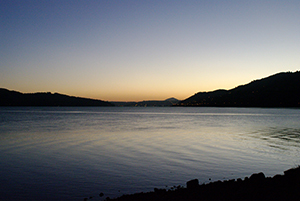 Dunedin lies on the central-eastern coast of the province (county) of Otago, surrounding the head of Otago Harbour which leads past the busy sea port of Port Chalmers into the South Pacific Ocean. 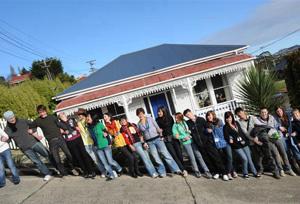 Students hang on to a fence - and each other - while climbing The Worlds Steepest Street, Baldwin Street, Opoho, Dunedin. Originally settled by the Mãori during the 1300’s, Dunedin (Mãori name: Õtepoti) is an attractive, multi-cultural and cosmopolitan city with a rural population of approximately 122,800 and the site of the large, world renowned University of Otago. The city’s name derives from Dùn Èideann, the Scottish-Gaelic name for Edinburgh (it also translates as “Little Eden”) and the town was ‘officially’ founded in 1848 by members of the Free Scottish Church, fleeing from religious oppression in Scotland. 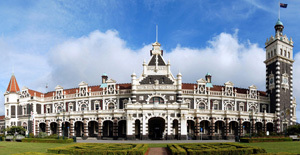 The most photographed building in New Zealand - Dunedin's remarkable Romantic-style Railway Station of 1906. As reports came back to England of the bountiful region’s lush vegetation and teeming seas from Captain James Cook in 1770, “Õtepoti” first became a Sealing Station, then a Whaling Station; and the earliest European settlers started to drift in. But the real boom came with the discovery of gold in Gabriel’s Gully near Lawrence in 1861 and suddenly Otago was transformed into a region reminiscent of the American “Wild West”. So inexhaustible seemed the supply of gold that Dunedin became the financial capital of New Zealand and, for a time following the first Gold Rush, was the richest town in the world! Even today, the precious yellow metal is still mined nearby. 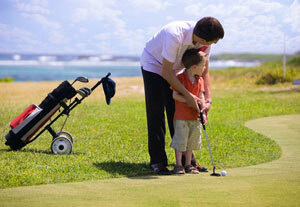 Chisholm Park Golf course is famous for its water hazard, friendly atmosphere and stunning sea views. Small though it is, Dunedin is quite famous: Port Chalmers was the port from where, back in 1882, the first ever shipment of frozen meat left New Zealand for England. It was from here that Captain Robert Falcon Scott departed for his fabled, and fatal, journey to the South Pole in 1910. (‘Scott of the Antarctic’, see Famous Freemasons ) According to the Guinness Book of Records Dunedin features the ‘Steepest Street in the World’, that being Baldwin Street in North Valley, while the city’s railway station, completed in 1906 in the ‘Romantic’ style of the period, is the most photographed building in the whole of New Zealand. Yet one utterly unique feature of the city (especially to ornithologists) must be that, nowhere else in the entire world, does there exist an albatross bird colony that is accessible by land - except for Dunedin. In fact the area is a wildlife enthusiast’s dream, being home to extraordinarily rare yellow-eyed penguins and many other bird, mammal, reptile and insect species. Very rare, but frequently seen at Taiaroa Head, Mr. and Mrs. Yellow-Eyed Penguin and their son, take themselves off for a waddle. Population and environment - The large international student influx blended with southern Kiwi personalities and a cosmopolitan inhabitation; ensure that there is vibrancy, humour and much to do in the city and its environs. Strikingly beautiful, the countryside, rivers, lakes and snow covered mountains to the north and west; the waterfalls and rain forest to the south; and the beaches and seemingly endless South Pacific Ocean to the east; guarantee year round vistas, walks, nature and wildlife, sports and activities, suitable for young and old alike. 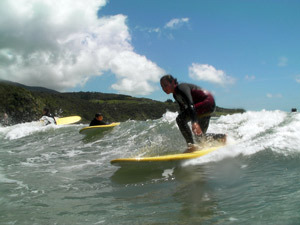 So good are the waters off St. Clair beach that beginners classes in surfing are a regular feature. Lodge St. Patrick No. 468 I.C. 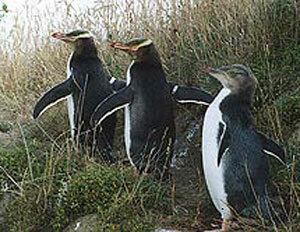 (Dunedin, Otago). The four Irish Lodges are in close contact with each other and inter-visit regularly. They operate under the direction of the Provincial Grand Lodge of New Zealand (Irish Constitution) in Auckland and, ultimately, the Grand Lodge of Ireland in Dublin, Eire. 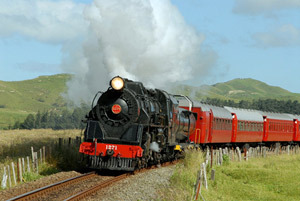 Dunedins railway museum attracts steam train fans from around the world who come to ride the rails embraced by breathtaking ‘Lord of the Rings’ scenery. 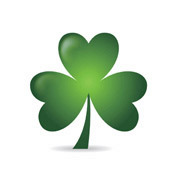 Lodge St. Patrick meets on the fourth Wednesday of the months of February through to November inclusive. Our meetings tyle promptly at 7.30pm with visitors being received at approximately 8:00pm. Each year the Installation meeting is held on the last Saturday in July. Wives, partners and friends arrive from 3:00pm and the Lodge tyles at 4:30pm, with visitors received at 4:45pm. A formal, but always convivial, dinner in the evening completes the ceremony. 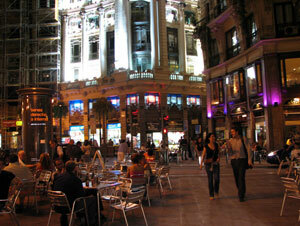 The Octagon is a fun and vibrant plaza in the centre of the city. An ideal spot to enjoy a drink with friends or to eat out. Lodge St. Patrick No. 468 I.C. 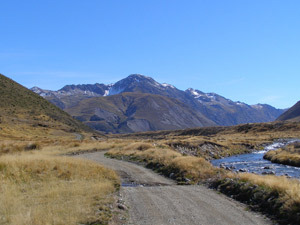 A short drive to the east of the city are the empty plains of Central Otago with yet more ‘Lord of the Rings’ scenery on view. Which is not too surprising since ‘Lord of the Rings’ was filmed here! Note:Car parking spaces are available all along Manor Place (outside the Level 3 entrance to the building) and additional parking is available outside the Ground Floor entrance, inside Dunedin’s main bus depot in Transport Place, Princes Street (though care should be taken not to venture outside of the allotted parking spaces marked in this area).